Anyone who owns and loves a dog knows it becomes hard to live without their consistent and utter devotion to you. And even though they may love you at least partially because they literally rely on you to do things like eat, it's a two-way road when you own a dog. You may keep them alive by feeding and taking care of them, but they are also taking care of you. 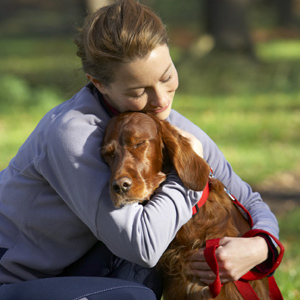 Numerous studies have shown that owning a dog benefits a person's physical and mental well-being. So thank your dog for making your life so much better. Walking your dog helps you stay more active than people who don't have to walk the dog. A 2006 Canadian study found that dog owners were more likely to participate in moderate physical activity than those who didn't own a dog. They walked an average of 300 mins per week, compared with non-dog owners, who walked an average of 168 mins per week. A recent study at the Cummings School of Veterinary Medicine at Tufts University found that people who have strong connections to their pets also have social and relationship benefits. 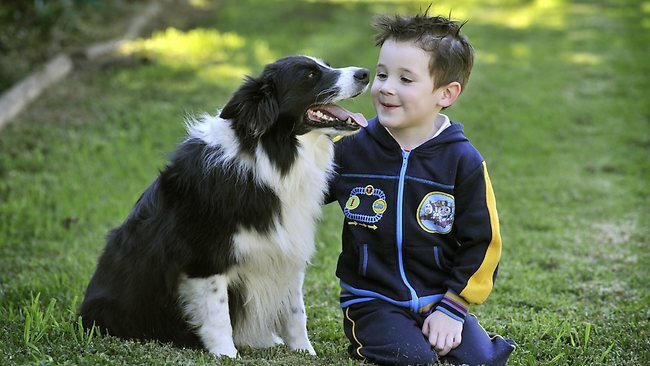 The researchers surveyed 500 18-26yr-olds and found that those who had "strong attachment to pets reported feeling more connected to their communities and relationships." They also found that the more attached a person was to an animal as a teenager and young adult, the more empathetic and confident he or she was. A black lab named Marine could save your life. The specially-trained eight-year-old dog can detect when a person has colorectal cancer 91% of the time just by sniffing the person's breath. And if she smells stool, she can detect whether the person has colorectal cancer with 97% accuracy. It's estimated that a dog's sense of smell is up to a million times better than a human's. Pups trained at the Florida Canine Academy can smell even the slightest hint of peanut in a room. This comes especially handy for people who have intense peanut allergies. These dogs are so good that they can detect peanuts in a cookie or in a candy bar that is wrapped in a lunch bag. In Texas, a place called "Southern Star Ranch" provides trained dogs to people who are suffering with severe peanut allergies. A 2009 study by Miho Nagasawa of Azabu University in Japan found that one's level of oxytocin (the neurohormone that elicits feelings of happiness) raised intensely after interacting with their dogs. And the only interaction they needed was to stare into their dog's eyes. Those who looked longer into their dog's eyes had the bigger dose of oxytocin. Fun fact: A dog's willingness to meet eyes with humans is one of the things that separates them from wolves. Homans writes that Austrian zoologist Konrad Lorenz, speculated that a dog's face could possess an "infant schema" - meaning that its "high forehead, big eyes, short snout and floppy ears might have evolved to take advantage of human's innate responses." The features are known as "social releasers" and can elicit a human caregiver's response. Karen Walker, a psychology professor at the University of Buffalo, performed a series of tests that proved dogs help reduce people's everyday stress. She wired volunteers to blood-pressure monitors and had them count rapidly backwards by threes from a four-digit number (a task that seems simple, but is actually pretty challenging. Just try it.) She found that the subject's stress response was significantly lower if there was a dog in the room. Dogs have been proven to help the recovery process of soldiers going through post-traumatic stress disorder. One army veteran, Robert Soliz, a former army specialist who served in Baghdad, found that engaging with dogs in a program called "Paws for Purple Hearts" helped him get his life back to the way it was before he left for war. When he returned, Soliz was so traumatized that he couldn't show any affection and struggled to even hug his kids. After spending 6wks with a golden retriever, Soliz began to feel more comfortable with his family. In 2010, a study found that children who were allergic to dogs but lived with at least one of them during their first year of life had a lower risk of developing the chronic skin condition eczema by age four. Interestingly, the complete opposite is true for cat ownership. Researchers found that children with cat allergies were 13 times more likely to develop eczema if they lived with a cat within their first year. Loneliness is common among the elderly. Studies have shown that in people 60yrs of age and older, owning a dog were four times less likely to be diagnosed as clinically depressed. "The Waltham Book of Human-Animal Interactions: Benefits and Responsibilities" cites a study on medical visits by elderly people. The study proved that, compared with non-owners, pet owners made fewer medical visits over the course of a year. When you own a dog, you are forced to interact with people because you have to walk that dog in public. People are more likely to stop and say hello to you because you have a cute pup bouncing alongside you. In some cases, these interactions could change the rest of your life. According to a study conducted by Dog's Trust, the United Kingdom's largest dog welfare charity, when they surveyed 700 people, 60% said that owning a dog can make people more attractive, while 85% think people are more approachable when they are with a dog. Even more, it could matter what kind of dog you own. Homans presents one of the best arguments for why a dog is a great asset to one's life: The dog "takes us back to simpler modes of interaction." Homans writes "In a world of email and texting and videoconferencing, a relationship with a dog is unmediated by technology." Couldn't we all use a cuddly canine to tear us away from our smartphones? 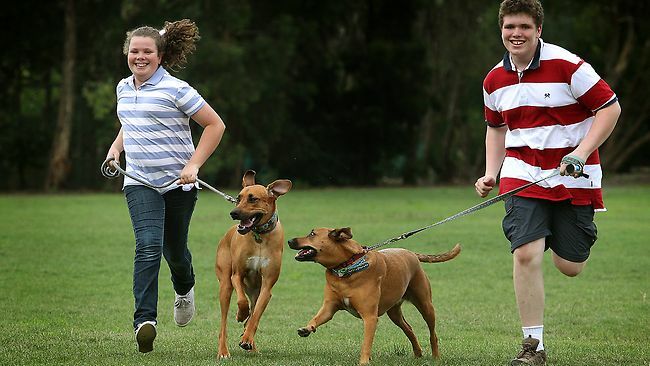 With the economy the seemingly most important thing in Australia, and house prices expanding like some unrestrained bubble .. many dog parks are under threat in Melbourne. And the main reason seems to be local council profiting from developer money. Approach your canine in the correct way and it will love you significantly more yet pet it the wrong away and you will mark its certainty and maybe even upset it. In this article, I'll reveal to you the right method to pet your puppy. Dogs can often become protective of their owners and will show aggression in that situation, as well as being sexually aggressive.